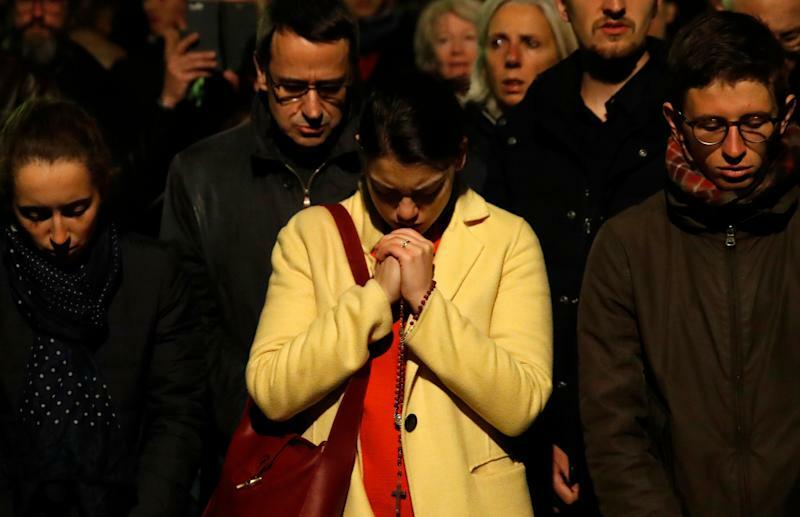 As the world watched in horror as Notre Dame Cathedral burned in Paris, Cardinal Timothy Dolan, the archbishop of New York, headed to St. Patrick’s Cathedral to pray for the famous church and those battling to save it. Boston’s Cardinal Sean O’Malley also offered his prayers for the first responders attempting to beat back the fire. But as the grim images of the famous spire giving way continued to unfold on computer and television screens across the world, it looked for a time as though Paris’s most famous church might not endure. “Everything is burning. The framing, which dates from the 19th century on one side and the 13th on the other, there will be nothing left,” Andre Finot, a spokesman for Notre Dame, told Agence France-Presse.